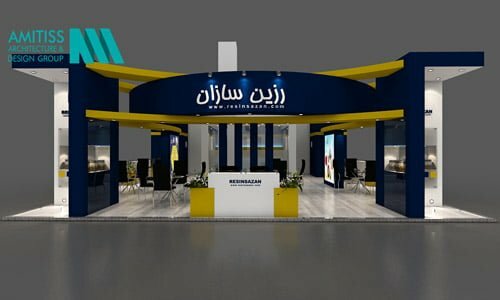 Exhibition Stand Contractor in IRAN; Amitiss Company, as one of the best exhibition contractors in Iran, offers its services in order to have a challenge-free experience at Iranian exhibitions. 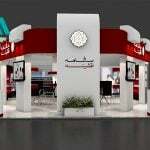 By the power of our educated and experienced fabrication team, we are able to build various types of exhibition booth ranging from standard systems to mixed modular-custom to fully custom designs. When it comes to attend an exhibition stand, we need to consider many factors to maximize the potential of our stand space. Surely, the use of similar experiences in your line of work can provide you with different ideas in this regard, but using the advice of an exhibition stand maker can clarify the important aspects of it. 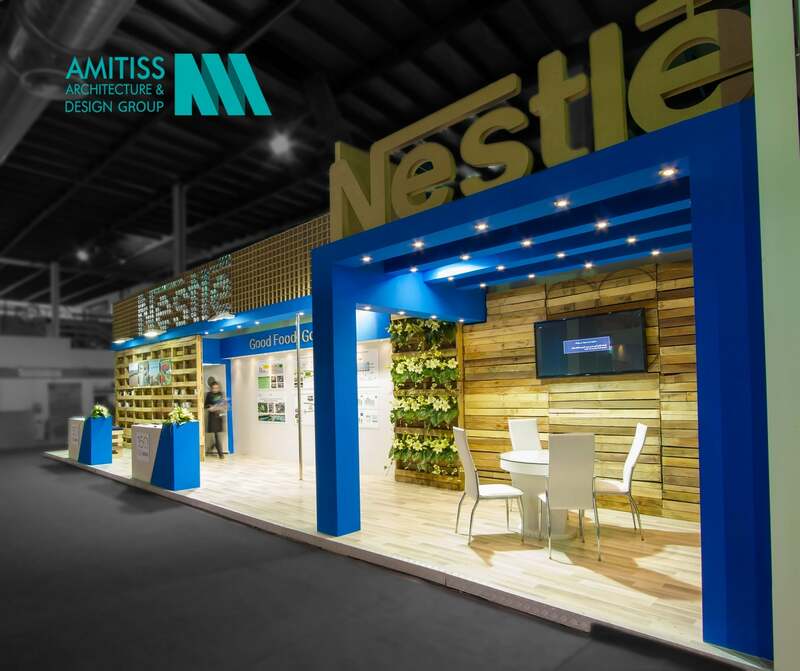 The Amitiss teams of customer service and design department will guide you in all stages of the design and construction of the booth. Due to the overwhelming diversity of our customers’ requests for designs and services, we have been working on combining creativity, team management and punctuality to provide a hassle-free and certainly in-budget experience. Providing products and services in related exhibitions is one of the most effective and popular advertising ways to promote companies in the world. 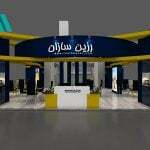 The booth owners use certain shapes in the booth body, graphics and related images to introduce themselves or their products and special furniture in accordance with the manner that they welcome visitors to introduce themselves. Obviously, the impressive appearance of an exhibition booth as well as the construction quality will play a significant role in attracting visitors, because nearby stands may have the same product for presentation, but not display it properly. The importance of using the appropriate decorations at this stage is quite revealing, and we are seeing positive feedback from viewers about the stylistic stands. 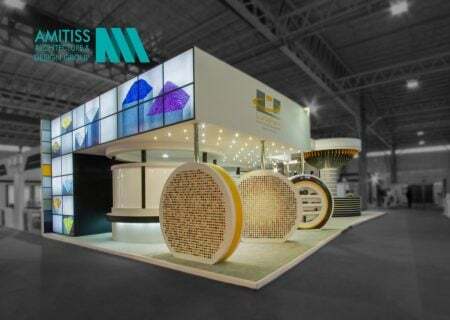 Apart from the beauty of the stand, the productivity of the exhibition stand is so important. 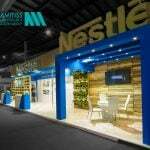 Due to the small amount of space and the cost of each square centimeter of it, exhibitors are looking for a high efficiency of entire area of ​​their stands. It should be noted that the combination of commonly used methods with the suggestions of our designers has often led to the creation of specific alternatives in the product – service display. 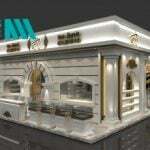 AMITIS Company, as one of the leading exhibitors in Iran, has always offered new designs for improving the experience of your presence in exhibitions. 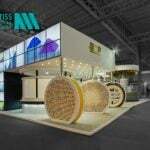 The competitive price of booth building will create a relative balance among the exhibition designers. 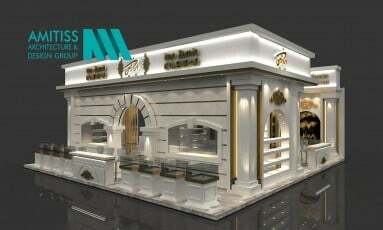 Of course, offered quality of companies and their exhibition making grades will change the final price. Amitiss Sales Advisors will provide sensible advices to use the maximum efficiency during the exhibition period. Adherence to all the rules of exhibition building at the exhibition sites in such a way that it does not cause any problems for the employer. 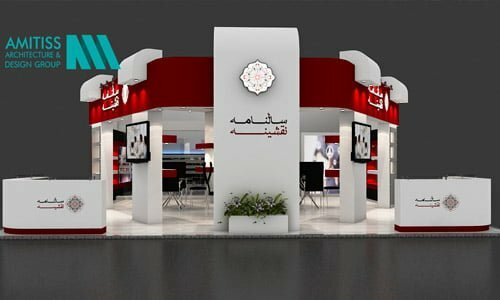 As a Grade A exhibition stand contractor (registered by the Exhibition Stand Builders Association of Tehran), AMITIS can provide high-level services based on your request even in large scale projects. Meanwhile, we have been able to benefit from our various contractors in providing various services such as printing and materials. As a result, group stands like the country’s pavilions can be fabricated easily and budget-controlled; while individual projects can easily manage their small and large booths. With our close access to the exhibition fairgrounds in Tehran (Tehran international Exhibition fair ground, exhibition halls located at the Milad Tower and the Olympic Hotel, Shahre Aftab), our executive and monitoring teams will be able to regularly check the projects’ process. With more than 6 years of experience, the trusted and sufficiently qualified teams of AMITIS, which are divided into Sales, Design and fabrication units, have the ability to deliver customer services with excellent results. Although many of our customers are known among the owners of the brand owners and popular companies, regardless of the size of the projects, the convenience and satisfaction of our customers is our top priority. In the hope of long-term relationships, we strive to reach the trust and all the needs of your exhibition. Amitiss is with you from A to Z.